You have that fun and carefree personality that everyone loves and you want to portray that in your next performance as well. You are looking for a style that will fit in with the time period as well, so you may want to check out the 60s Lucy Short Flip. 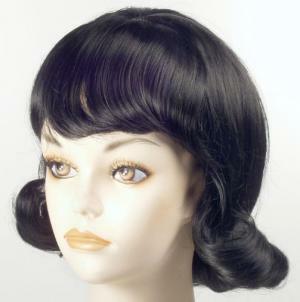 This classic 60s flip comes in many colors and has full bangs with a cute classic flip in back, coming off a smooth style on top. This style will look great and bring the personality to your character that you are looking for.